5m DVI to VGA Cable, DVI Male to VGA Male. 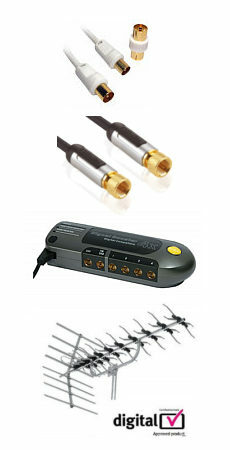 This high-quality cable allows you to connect a computer with a DVI-I analogue output to a VGA monitor with a 15 Way VGA Female connector (i.e. a monitor with a removable VGA cable), or a computer with a VGA output to a monitor with a DVI-I input. 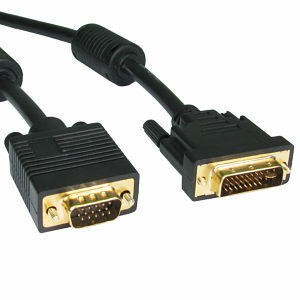 Connectors: DVI-A Male to VGA 15 Way HD Male.